George Provard (1924-2006), born in North America of French decent, spent most of his childhood in the Eastern United States. George took his formal training in Michigan, where his talents won him a scholarship for five years at Meinzingers Art Academy. Among his favorite teachers there was George Rich, who trained undeer the famous master artist George Bellows. George was a great admirer of the renaissance style of painting. It is apparent in Georges own work, which shows academic discipline and years of fine art training. There is a uniqueness in the style, George adds a modern flavor which gives his work irresistable excitment. Sometimes the statement he makes with his brush is shockingly real. 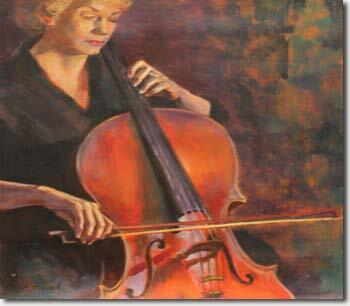 At Masters Fine Art we proudly represent a collection of paintings by the late George Provard. His paintings in our collection were created in the 1960's and 1970's.